Astana, Kazakhstan - September 24, 2017: Fountains in the capital of Kazakhstan, slowmotion. Astana city in the center of the video Baiterek monument. 4k00:24Astana, Kazakhstan - September 24, 2017: Fountains in the capital of Kazakhstan. 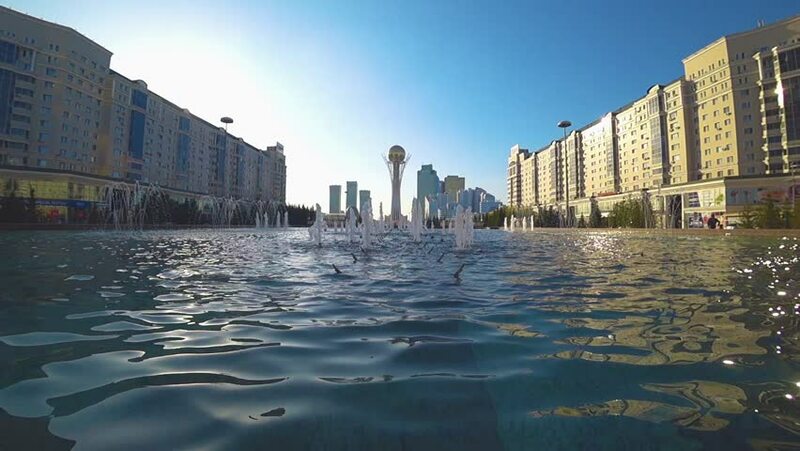 Astana city in the center of the video Baiterek monument. hd00:16Clouds above residential buildings and office buildings on a riverside. London. 4k00:06MARINA BAY, SINGAPORE - CIRCA MAY 2017: Panoramic view of Singapore skyline over Marina Bay with vanilla sky after sunset, Singapore.